People of Darkness, Assorted Draft Pages. This appears to be a further reworking of the initial draft manuscript. 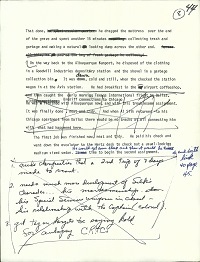 The pages are heavily edited and there is ongoing evidence of significant revision of the story.